There's something about 30,000-odd fans yelling "HEY" in synchronized syncopation; for maximum impact it has to be at one of these huge outdoor sheds. That opening riff of "Punch" will forever stir up feelings from this show. I didn't quite have the timing down on the "HEY" yet. I was still getting used to the idea of dancing, actually. Without Phish I might never have escaped those bodily inhibitions. It might've been this "Wolfman's" that finally shook me loose, or the high-octane quartet of tunes that ended this first set, a very oddly-arranged thing that nevertheless just walloped us going into setbreak. The thing about the second set is that I had a tape in my car with LOADED on one side and a James Gang best-of on the other, and being largely unconnected in the tape-trading community I had no clue that "R&R" and "Walk Away" were staples in the Phish rotation, so when those tunes morphed out of consecutive mind-bending jams I really felt like I was being fucked with, which is pretty much why I go to Phish shows, to be honest. 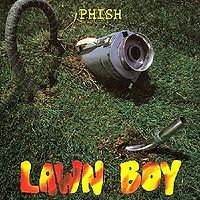 This "Piper" was my go-to jam for many years, but it was at this show that I realized I could happily hear "Tweezer" at every show I ever went to from here on. Still my favorite Phish song. 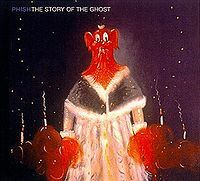 These choice segues, the liquid, intuitive group dynamic throughout this second set, the unpredictability and the weird personal connections all came together for me at this show as they sometimes do at Phish shows and not really any other kind of shows. Still chasing that magic combination. pyite: in true 2000 fashion, they dug deep into the punch intro. good opener that got the crowd gassed. nicu: this one folowed punch really well. good straight forward version. my soul: this one seemed to have a little extra snap on this evening. straight forward but good. poor heart: ditto what i said for the last 3 songs. wolfman's brother: this allowed for the nights first real exploration. they did not take it too far, but like everything else in this set, it was a nice tight version. first tube: trey seemed to get a little extra rowdy on this take. page also got in the mix a little bit here. llama: good sharp llama... my lord, everything in this set is sounding soooo clean and sharp. high energy too on this one. guyute: of course, they nailed it! run like an antelope: huge surprise! i was certain this one would hold out to deer creek; little did we know, we'd get it at the first night of deer creek too. well, the made their first alpine valley antelope count. real nice set closer. heavy things: standard warm up stuff. rock and roll: their playing in the first set carried over to this rock and roll. after cutting loose in piper, they tightened right back up for this one. high energy, tight playing. walk away: ah, rocking the james gang. page, like in rock and roll, really hits this one vocally. the musical momentum of tweezer is really felt in this walk away. twist: pretty solid version. it's on par with the one they would play at the next show at deer creeek. the horse>silent: not really what i was looking for here, but it worked well. good version of a good tune. possum: always a good closer to get you ready for a decent little drive down to indiana. this version is not as over the top as some, but it satisfied. I feel that if Phish needed live takes of some classic tunes for radio air play, this would be the show to pull from. the horse>silent, nicu, my soul, poor heart, and llama were all very straight forward but they were all played particularly well on this evening. The second set was killer too. they only really cut loose in a couple of songs, but they just simply nailed everything. Plenty to love in both frames, but for my money, Set I of this show is just about perfect. 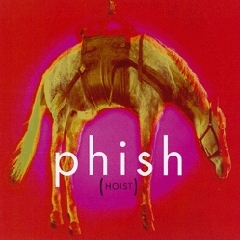 The PYITE>>Poor Heart segment is classic Phish setlist mastery, flowing easily between the hard licks of Punch (my personal favorite version of the song), through to the silly bluegrass of Poor Heart, stopping effortlessly in between to throw down some blues along the way. Wolfman's opens things up, but to my ears is the overall low-point of the set (just not a very interesting jam, particularly for Wolfman's) but then they're right back at it with a perfect First Tube, a perfect Guyute, and a rocking, raging Antelope. Really, just an amazing frame of music that seems to get no attention at all due to the lack of big, open-ended jamming. Don't be deterred! Set II, as others have mentioned, is also very good. 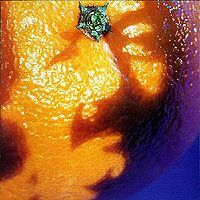 The Tweezer is just silly (a perfect example of Trey playing billions of notes but somehow making it work) and the Piper>>Rock & Roll should be enough to satisfy the jam chasers. 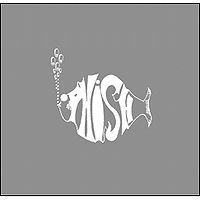 One of my favorite ways to introduce non-phans to the band is by playing them Disc 1 of Live Phish 5, paired with Set II of, say, 12/6/97 or an assortment of 12/31/95 jams. It's a pretty perfect way of seeing the range of music we get from this band, and yet is all too often under-appreciated with modern fandom's obsession with type-II excursions. Give this one a look. 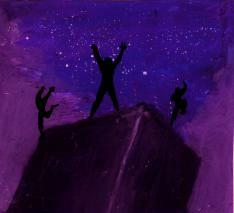 Ah, yessss...PYITE is a great opener and, traditionally, a premonition of great things Phish-wise to come. This tenet held true on this beatufiul evening at Alpine Valley! Great NICU, even better My Soul (it seems as if Trey was really feeling the 'blues' this eve; his playing that night suggested a rather Claptonesque vibe) the omni-goofy and fun Poor Heart, a great Wolfman's (although fairly standard-issue) an awesome, awesome (truly psychedelic in the purest sense of the word) First Tube, standard Llama, an appearance from everybody's favorite dancing pig, Guyute, and a humungous Antelope to close the first set. Second set was the true meat-and-potatoes of this show, however. I can't complain too much about the opener of the 2nd set; maybe the boys wanted to warm up and gather more ju-ju for the remainder of the set. Piper is amazing, and the jam into R&R is sick, sick, sick! 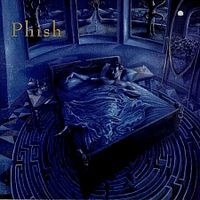 I sometimes think that this show's existence as on official Live Phish release is due largely to this particular jam. It soars and whistles and twists, giving way to a (rocking) beautiful version of R&R. Tweezer is cool, but as mentioned above, Trey is just wailing bluesy guitar solos all night long! 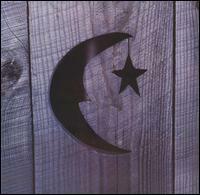 This bluesy angle on Tweezer makes this well-worth the listen. Walk Away is cool, short yet sweet. Twist is nothing spectacular; I've definitely seen better versions. Horse>SITM is very rote. Possum is always welcome. Suzy>Tweeprise to close is a treat!! Straightforward but well played PYITE to open (my favorite opening song). NICU is pretty sloppy at parts. My Soul is a very well played version. Wolfman is very fluid and well played. Basically Wolfman till the end of the set is a very well played bunch of songs. Antelope is exceptional First Tube is top shelf among '00 versions. Nothing extraordinary just songs played well. Piper goes into light speed then mellows and has some wacky guitar work by Trey. They don't really find any footing for a jam and move on. Tweezer has a nice filthy playing by Trey and a decent -> Into walk away. But far from the best. Possum is likely the only other highlight from this set, it's played very well. I think as stated above that this is the ultimate well played show. But it lacks a lot of the fun and exploration that your 4 and 5 star shows have. Listening to this in Full Force this AM.. I forgot what the Energy of MY First Show did to me. Phish has made me an all around better person and has saved Me and MY Soul countless times. They never have failed me when I have needed them. And it all started on July 8th, 2000 at the age of 16!! !